iVisor is 100% bubble-free, washable and reusable. Installation takes seconds to apply. 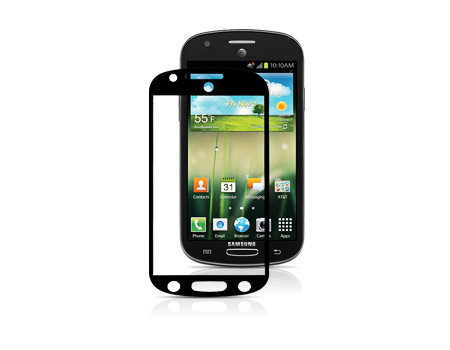 iVisor is an advanced protector set that protects the front of your phone's glass from everyday wear and tear. Unlike traditional screen protectors that require tedious installation procedures, Moshi's proprietary design and patented technology allows installation in seconds without any air bubbles, making it the easiest screen protector to install on the market today. iVisor's multilayer construction is engineered to offer excellent scratch/smudge resistance while retaining optimal touchscreen sensitivity and feedback. It is also equipped with Moshi's new polymer adhesive that allows for repeated cleaning and re-application.